Natural wood decking needs a good varnish every year to maintain it in tip-top condition. This is especially true for Singapore’s weather. 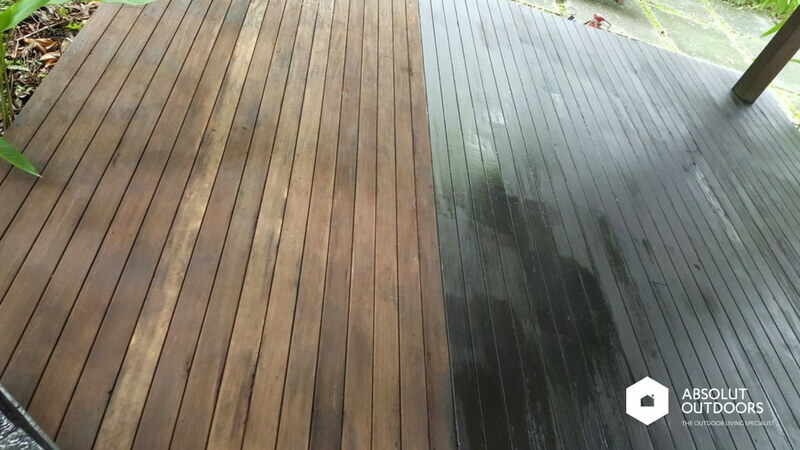 The hot sunny weather coupled with sudden rain can mean that the decking is subject to a lot of expansion and contraction within a short period of time. But what if you’ve neglected your decking for a few years? The wood stain might have peeled off due to wear and tear, and the wood might even have cracked, sometimes resulting in splinters. 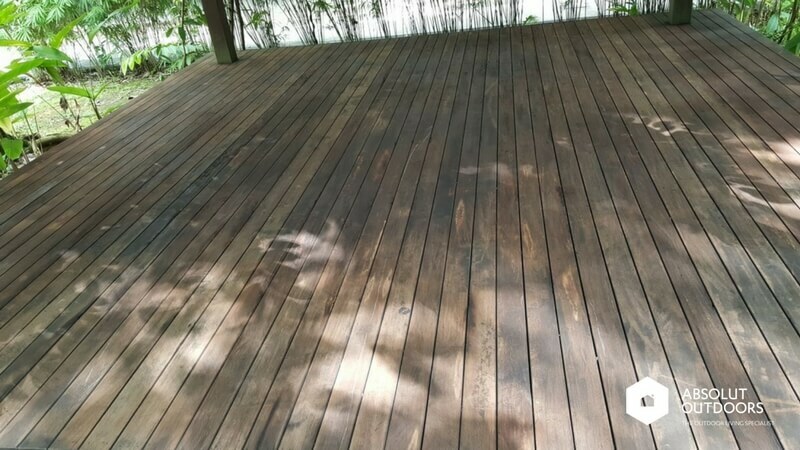 When this happens, the decking needs a good sanding down and re-varnishing. 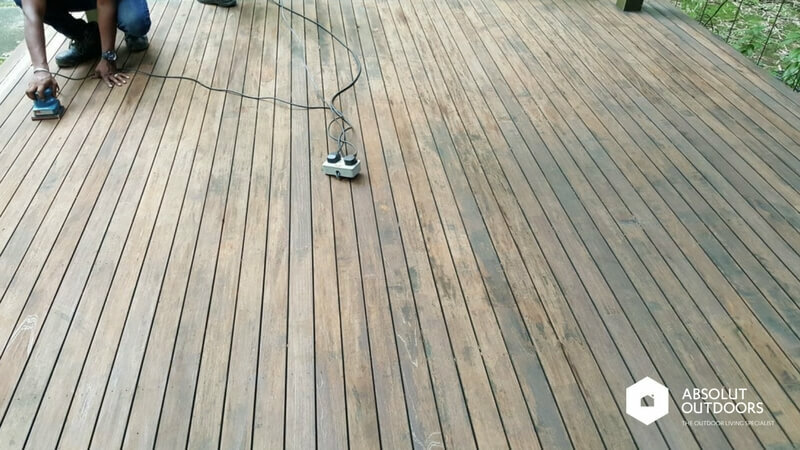 In this case, we managed to refresh the old decking and it looks as good as new again. 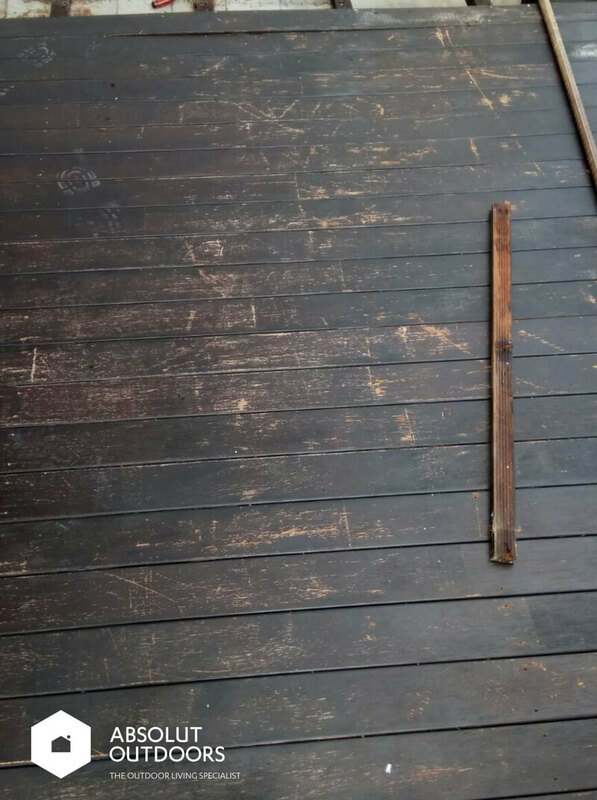 In severe cases of decking damage due to wear and tear, you may need to completely rip out the old decking and install new ones. 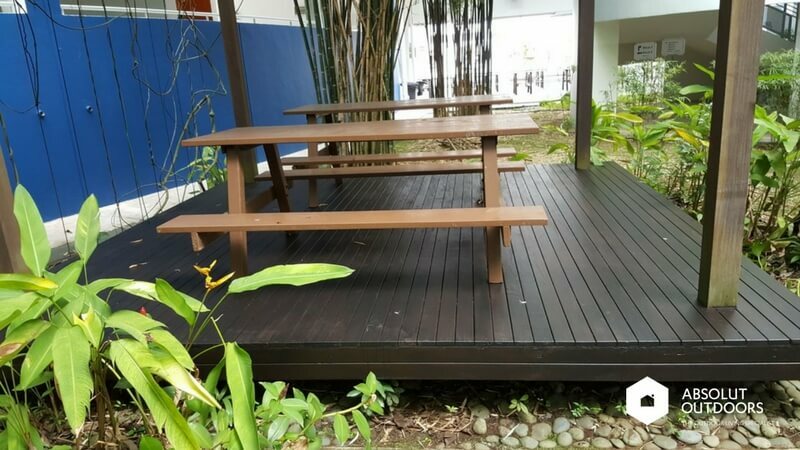 If you decide change your outdoor decking, check out the outdoor flooring options suitable for Singapore here. If you’d like to refresh your old decking or explore new outdoor flooring options, call us at 67498087 and let us suggest something for you!